The great communist warrior, representative of the old worker in State-owned enterprise, one of sponsor for the Jasic Workers’ Supporting Group, Comrade Wu Jing tang left us forever at the 5:57 am, January 25, 2019 in the 82 years at his life caused by the ineffective treatment due to illness at the Jilin Tonghua Second People's Hospital. Chairman Mao said “All men must die, but death can vary in its significance, To die for the people is weightier than Mount Tai, but to work for the fascists and die for the exploiters and oppressors is lighter than a feather. 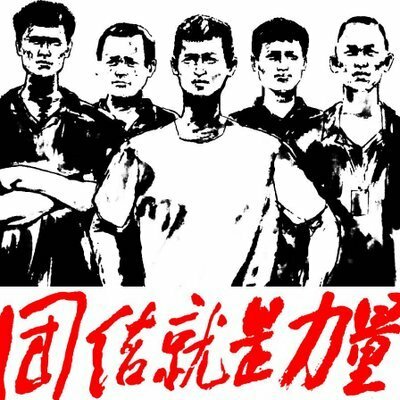 ” he is not fight for himself but fight for the right of Chinese working class until the last dying breath, his death is weightier than Mount Tai. This is all of significance of we commemorating him and learn from him. On July 29,2018, after hearing the news of the arrest of the Jasic workers, Wu immediately issued a call: "Go to Pingshan, Shenzhen! For the awakening of the Working Class, for Maoism! " Under the initiative of Wu and other comrades, the Jasic Workers' Supporting Group was formed. Progressive Students and righteous people from all walks of life took over the Jasic workers' banner and continued to fight. "We are the working class, we should be the owners of enterprises, and our motherland should be the socialist motherland. But today, the status of the working class has disappeared, as can be seen from the comparison of our factories and from the living conditions of the workers at Jasic." Wu wrote in his call to arms. He was well aware of the changing status of his fellow workers, and of the fact that the rights and interests of the working class could only be fought for by themselves. During the 9-year campaign of protecting Tonggang plant, Wu practiced the struggle of becoming aware of the workers, and continued to the struggle of the Christie's workers until the end of his life. As a member of the working class, as a Marxist-leninist, he have fought for the interests of workers to the last moment, which is a worthy death. It is because he once taught young people that "revolution begins with the revolution of oneself. " If one can not rid himself of selfish thoughts, one can not be like Wu to fight wholeheartedly for the interests of the working class. Although he is no longer alive, the spirit of immortality, who dared to revolutionize himself and did nothing for himself but for others, is immortality. Wu provided our younger generation with class-brotherly support and placed high hopes on our comrades. He said: "Our next generation, our compatriots are awakening! They are realized the mission of the working class, and moving towards socialism! President Mao said, where there is oppression, there is resistance! The Chinese people are not afraid of ghosts and do not believe in evil spirits!" Today, with a heavy heart, we commemorate the death of Wu. More importantly, We should inherit Wu Lao's dauntless spirit, and his spirit of no self-interest. Take over the banner of the working class to against oppression, and fight to the end for socialism!